This is the second part of the Changi International Airport tour. You can preview the first part here. I will be dividing this part in two sections: 1) Arrival Area and 2) Departure Area. Upon disembarkation from the plane, it is normal to follow through the process to the immigration and any declaration of goods at the customs. Changi International Airport has three (3) terminals - as I have shared it in the first part of this entry. 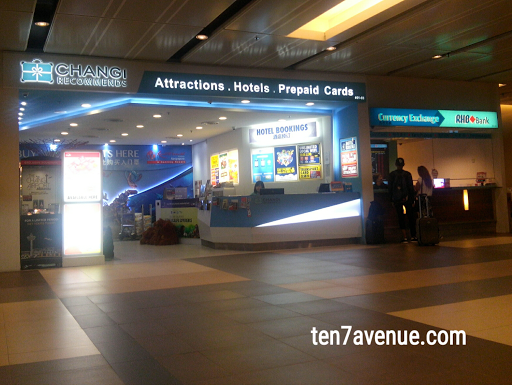 Every terminal has a different design at the arrival area, yet every terminal has this "Changi Recommends" area where visitors can check for tourist destinations and packages available, as well as, mobile sim recommends and free maps. There are banks available for currency exchange, duty free shops and charging stations at spots where they are strategically located. The arrival hall is really spacious. It is well-organized and there is a feeling of freshness because of the plants at some corners of the terminal. Thumbs up to that! The pre-departure area is more exciting, at the same time, interesting! Of the three terminals, I have seen and captured some spaces from both terminals one (1) and two (2). 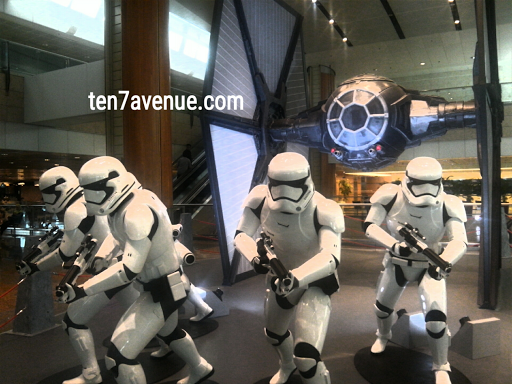 In line with some entertaining action figures in the entertainment world, such as the Star Wars, there are some decorative life-size storm troopers at a very spacious lounge interchanging terminals that are placed. It is driving many tourists to take photos with these structures - really, inviting!!! After being checked-in, a more interesting world at the pre-departure area of the terminal one (1) is going to welcome you! 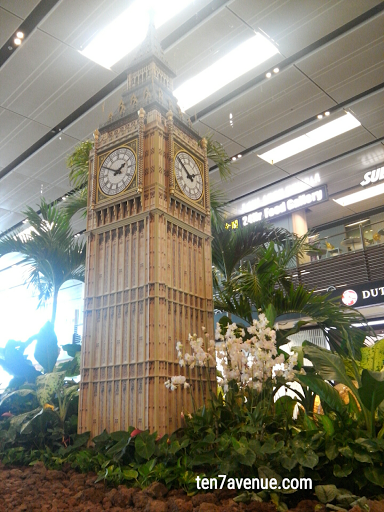 The famous attraction from the United Kingdom has been displayed in the airport surrounded by beautiful plants and orchids. 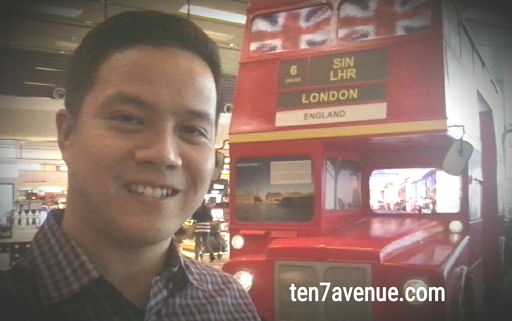 Not only the Big Ben is there but the double decker bus and the london bridge is there, too! 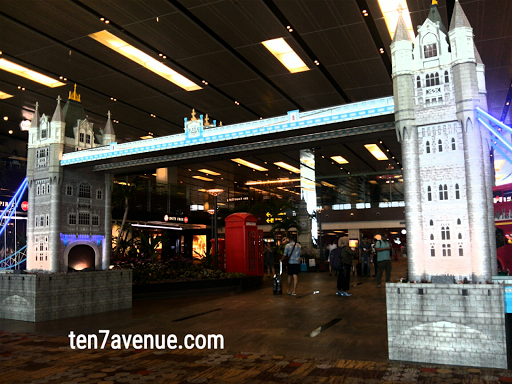 As an ASEAN, Europe is a bit far but this experience at Changi International Airport is bringing Europe close to us. The airport is pretty huge but there are a lot of things you can do as to entertainment, shops and other businesses. It will not bore you even waiting for long hours for your flight. 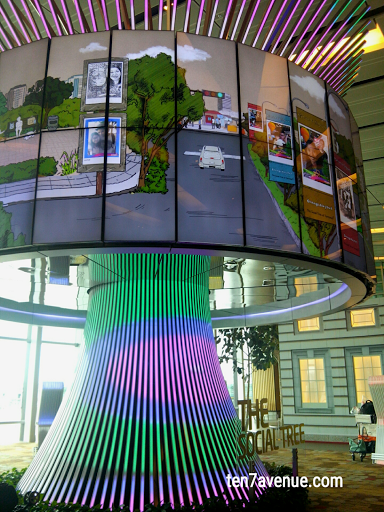 My favorite part of Changi International Airport Terminal One (1) is the social tree! The kid in me is entertained through this interactive game. The game is related to an airport activity such as directing airplanes. Whoever wins the game will be posted on the screen (even non-winners will be posted, though). I really am not sure whenever Changi changes their decorations but certainly these sections in the airport will keep a tired and bored passenger alive! There are other sections that I have not captured but I am sure that there are surprises that Changi International Airport can offer. Thumbs up to that! 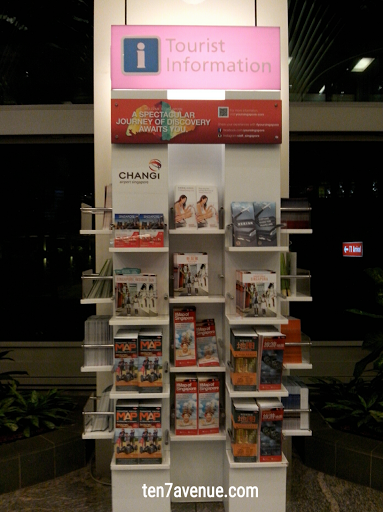 Do you have your story in Changi International Airport? 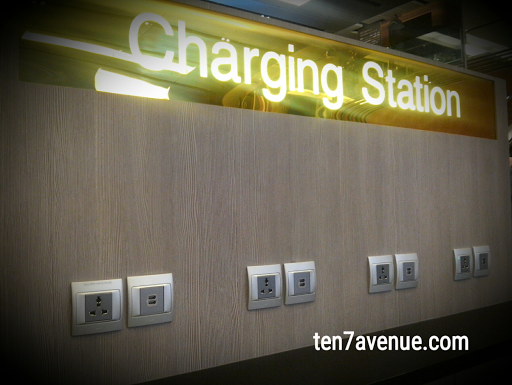 I hope you can also share it here, too, in my avenue, www.ten7avenue.com.